Condra's single-girder design delivers an overhead crane that is functional, durable and robust. It is a basic yet effective solution to many standard factory applications. 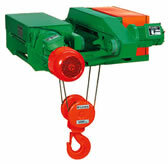 The cranes can be used for hook, grabbing, magnet, ladle, bucket or stacking duties and can be operated manually, electrically, or combinations thereof. 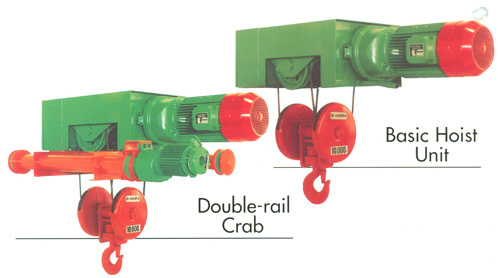 Manufactured since 1972, Condra's K-Series hoists have been installed worldwide under a wide variety of operating conditions, and in configurations that include foot-mounted, monorail and double rail crab configurations. 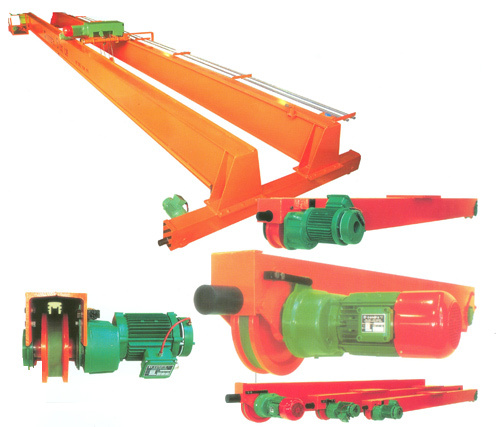 Lifting and reeving arrangements are numerous, and include centre-lift. Various capacity long-travel drives can be supplied to customer specification, in either single or double-girder configurations. There is also a choice of complete standard dual-speed end carriages (variable speed is optional), individual drive and idler bogies 125 to 630mm diameter drive/trailing wheels and associated components. Condra's double-girder overhead design provides an operating platform with greater stability, absolute lift precision and lifetime durability. Marginally more expensive in the short term, the initial purchase price is justified many times over during a vastly extended useful life. In the double-girder format is found industry's ultimate lifting solution. Condra's SH (Short Headroom) Titan hoists are designed to make maximum use of expensive factory space - headroom as well as floor. Based on the massively successful K-Series, this new design has reduced the size of many K-Series components to take height out of the final crane assembly. Condra's Compact hoists deliver all the modular capabilities of the earlier K-Series in any application, but in a refined and more compact design. Drums are manufactured to customer specification. 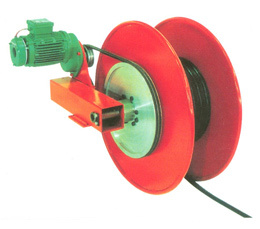 Cable loop systems and enclosed conductor systems are available ex-stock. 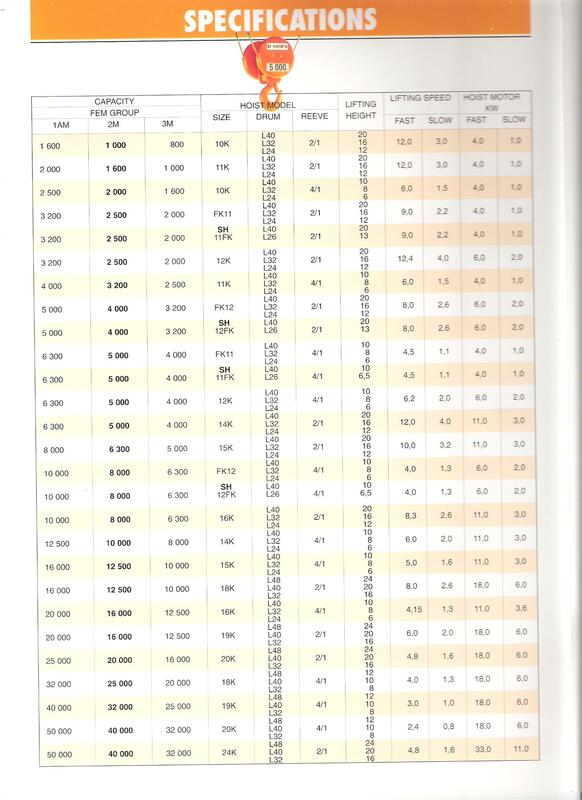 Condra Bulgaria Ltd. 13-15 Dimitar Krusev Str, Dryanovo, 5370, Bulgaria.